Proper florist bouquet NOT flowers by post!!! This isn't just 12 red roses, this is a beautiful hand-tied bouquet of 12 luxury, large head red roses. Lovingly arranged by out talented florists, these flowers come wonderfully presented in their own bubble of water with lashings of luxury foliage such as Salal and Pittosporum and encased in gorgeous Fern or palm leaves together with a romantic gift message card. Beware of cheap imitations!!! 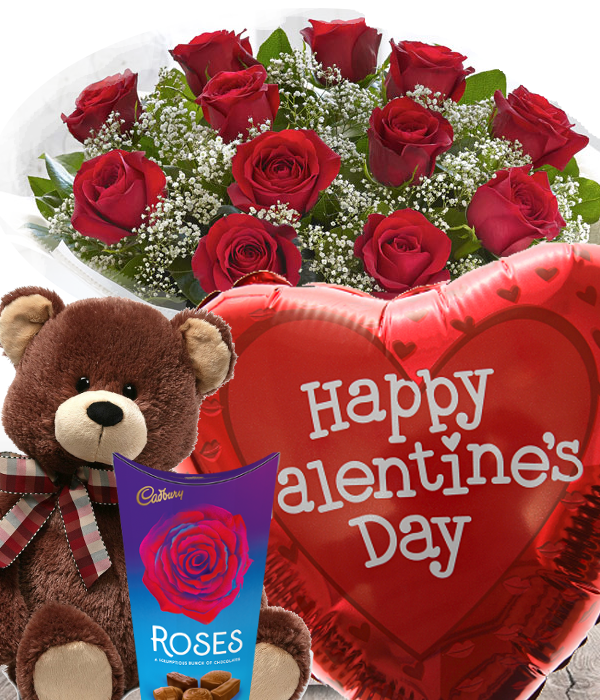 A lovely gift for Valentines day, Anniversary, Birthdays or just to express your love. 5% online discount and free delivery in our flower delivery areas including Braintree, Witham Chelmsford, Great Leighs, Great Notley, Black Notley, White Notley, Great Baddow, Cressing, Silver End, Kelvedon, Feering, Tiptree, Great Braxted, Great Totham, Maldon, Little Baddow and Coggeshall and Danbury and surrounding towns and villages.